This nut-brown rum is scented with sweet vanilla and baking spices, though it shows a hit of booziness on the nose. Soft feel, bitter chocolate, toffee and tropical fruit notes, with a long caramel finish. 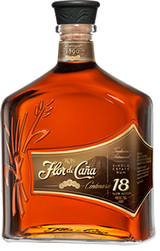 A fine choice for sipping, but with its pastry-like profile, consider soaking some into a rum cake.